Transitional wardrobes, cosy knits and log fire scented candles... So many people seem keen to get their autumn on already. But here's the thing, it's still the summer. UNTIL 22 SEPTEMBER! And we all know that the British winters can drag, so I'm officially refusing to use the a-word until 23 September at the absolute earliest. Besides, I'm just back from a sun-drenched holiday in Cornwall and I'd like to keep these summer vibes going a little bit longer. Which means whipping up a totally tropical watermelon and strawberry smoothie. This recipe can't fail to make you want to throw on a bikini and soak up some last-minute rays. Oh, and did you hear that there's a mini heat wave on its way? What are you waiting for?! Tip your fruit into a blender and add water. 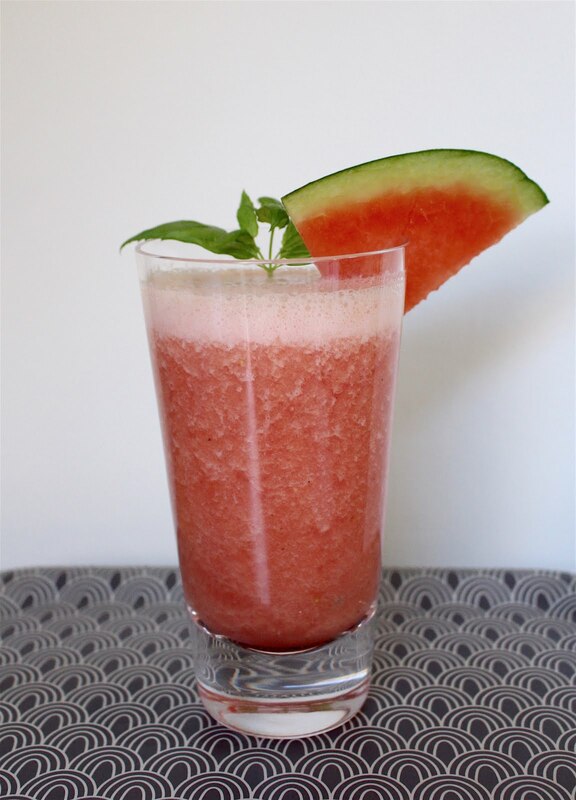 The water content of watermelons means you'll probably only want half as much as usual. 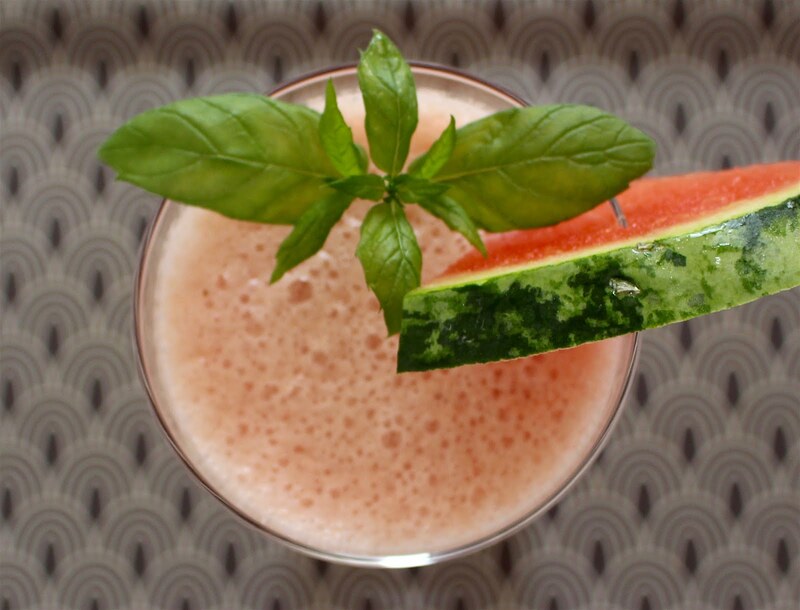 Pour into a glass, top with a sprig of fresh mint and a slice of watermelon, and transport yourself to the tropics! Maybe sing a little Wham! for good measure.